Panax is a major participant in the geothermal industry. Geothermal energy is one of the very few sustainable sources of energy which can replace base load power from fossil fuelled power stations. 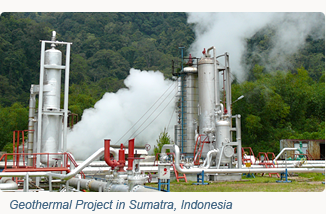 Compared to other sustainable energy options, geothermal resources are still not valued according to their commercial potential for the long term generation of clean base-load power. Panax is a geothermal exploration and development company pursuing a range of projects in Australia and internationally. Panax turns geothermal resources into reserves for power generation – identifying, exploring and developing the resources into commercial power stations to generate zero-emission electricity. Read more. Panax’s continued growth is a result of the company’s success in securing and developing geothermal projects in the Asia Pacific region. The company’s development is guided by two key strategies – minimising project exploration risk and targeting attractive power tariffs. Panax only pursues projects using conventional geothermal technology which has already been proven around the world. Read more. Panax has invested in skilled and talented employees who are experts in their field. Our management team has extensive experience in the resources sector, geothermal energy, commercial development, engineering and financial management. Read more.